Yes, Jimi Hendrix, Janis Joplin and the Grateful Dead played here! Merriweather Post Pavilion is one of the world’s most beautiful and storied amphitheaters – nestled in 40 acres of forest, smack between Washington, D.C. and Baltimore. If the backstage walls could talk, they’d echo Roger Daltrey and Robert Plant trading some wicked stories about when the Who and Led Zeppelin played here in the ‘70s. Now Animal Collective has ensured its legendary status, by naming its genius CD “Merriweather Post Pavilion” in homage to the band’s favorite venue. A concert season at Merriweather Post Pavilion is like putting your iPod on shuffle: the calendar features the best in rock, country, rhythm and blues, pop, jazz, hip hop, alternative, electronica and classical. Originally built to be the summer home of the National Symphony Orchestra, Merriweather was designed by the renowned architect Frank Gehry, who is best known for defying architectural conventions. The natural outdoor setting is one that can’t be matched. The fantastic sound system and large video screens make this amphitheater a favorite for bands and fans. Merriweather is music, but so much more. Read a little more about Merriweather and the various multimedia sculptures sprinkled throughout the grounds here. 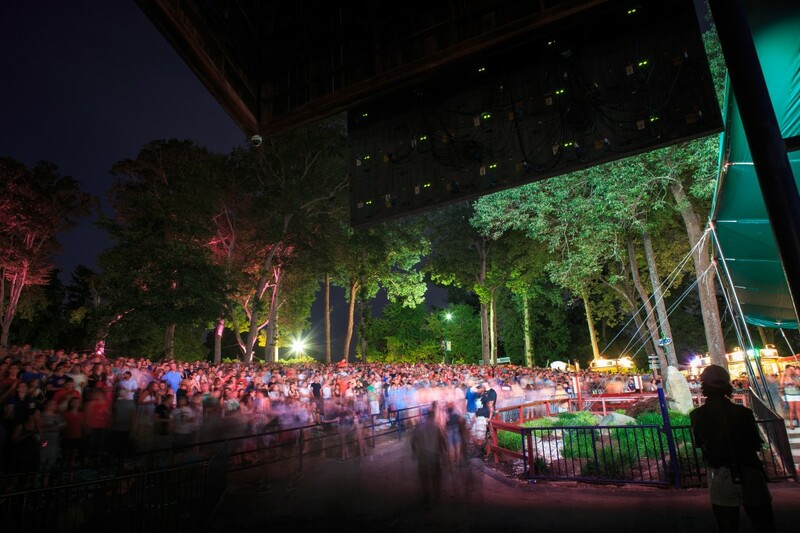 For more information on Merriweather’s current season and tickets, click here. Get your nosh on! Between Ale Houses and Wine Bars, Indian or Mexican Cuisine, and burgers or sushi, Columbia’s restaurants have it all! Find a place to rest your weary head after an evening of great tunes and one of Columbia’s great hotels.